If you love to use your Crockpot, this crockpot roast beef will definitely be a recipe you want to add to your meal rotation. 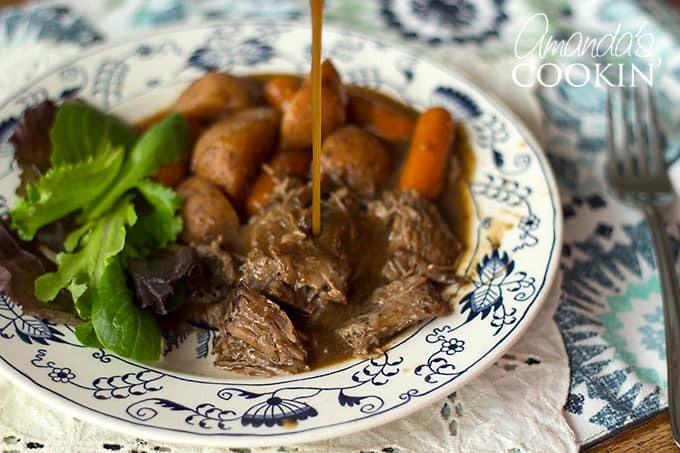 This slow cooker chuck roast is easy, only uses a few ingredients, can be made with or without vegetables and will always get rave reviews. And my Parmesan Garlic Rolls or these Herb Buttermilk Biscuits would be awesome with this roast! 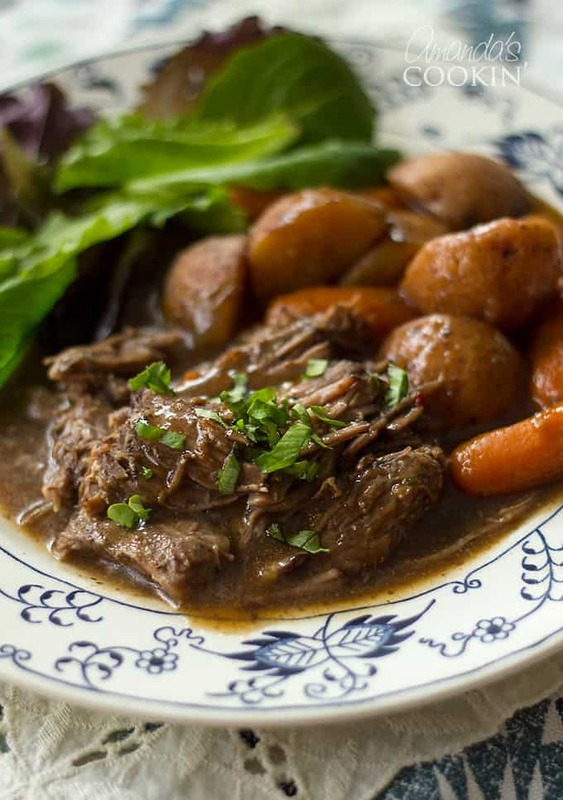 This “To Die for Pot Roast” has been on my blog since 2008. It was one of the first recipes I ever added. 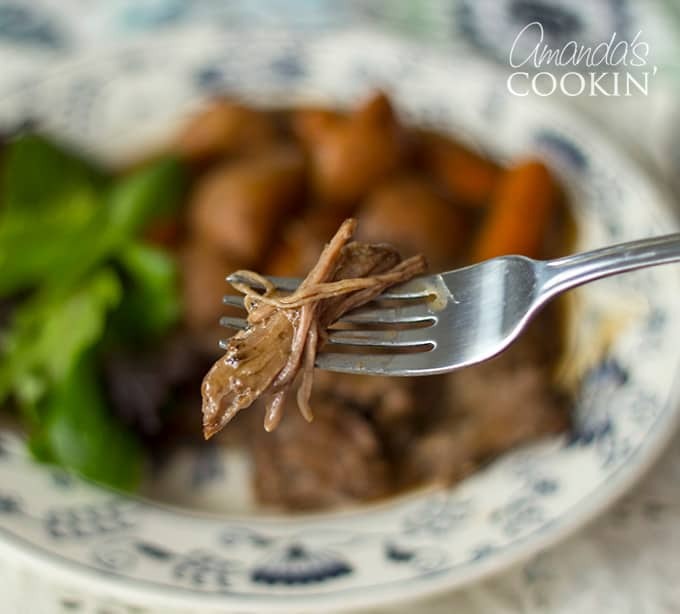 It’s made in the slow cooker and is one of my family’s most requested recipes for dinner. 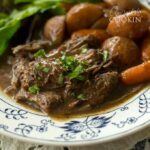 You can use any kind of roast you like, I almost always use a chuck roast to make this crockpot roast beef. I thought it was high time I took some new pictures and gave you a video too! RELATED: If you love your slow cooker, try my crockpot macaroni and cheese! To Die for Pot Roast. It’s kind of a silly name, kind of like John Wayne Casserole. Who names these recipes? There may be other names for this crockpot roast beef too. In fact, my kids call it “stringy roast”, but that doesn’t sound quite as appetizing to me! Doesn’t seem to bother them though. 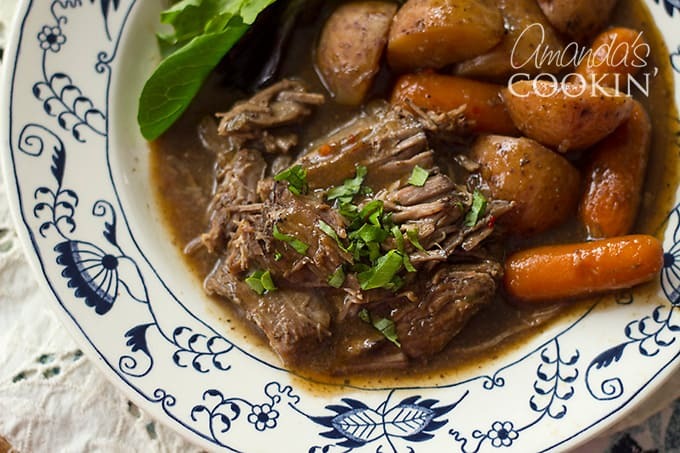 This crockpot roast beef is perfect as leftovers as well… if you have any. I usually don’t. But now that it’s just my youngest son and me, we can enjoy this pot roast for a couple of days. I will store the vegetables in a separate container so they can be reheated separately and easily. 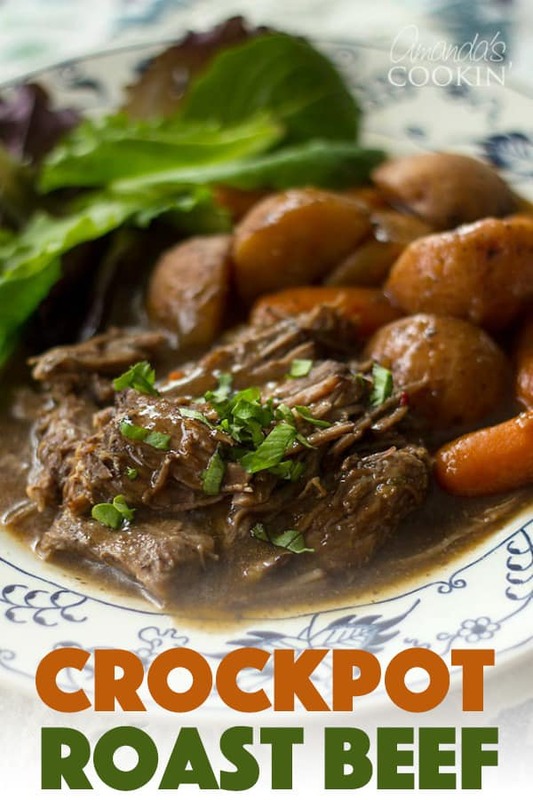 As I mentioned before, you can make this crockpot roast with or without vegetables. The instructions remain the same. If I’m not making vegetables with it, I’ll just line the bottom of the Crockpot with sliced onions then place the meat on top. Trim as much fat off of the meat as you can. Don’t worry about keeping the meat in large chunks. It’s going to fall apart when it’s done anyway. Trimming as much fat as possible will ensure a nicer gravy and less spooning fat off the top. If adding vegetables, make sure they are fairly uniform in size so they will cook at the same rate. Also, if including carrots keep in mind that the gravy will pick up a lot of the carrots’ flavor. It’s good, but something to keep in mind if you have picky eaters. I recommend cooking this on low for 7-8 hours. You CAN cook it on high for about 5 hours, but I don’t think it’s as tender. But if you’re in a pinch it’s definitely doable. You might want to consider getting a programmable slow cooker to avoid any timing issues. Even though you’re adding a fairly thick gravy mixture to the crock, the liquid will be considerably thinner when the roast is done due to all the steam the cooking process creates. When the roast is finished, remove the meat to a bowl along with a ladle or two of the cooking liquid. Remove the vegetables to another bowl and set both aside. Strain the gravy from the crock and place it in a saucepan. Add a teaspoon of cornstarch to the gravy and whisk it in. Cook over medium-high heat until it bubbles then reduce to medium and cook until it thickens, about 5-10 minutes. 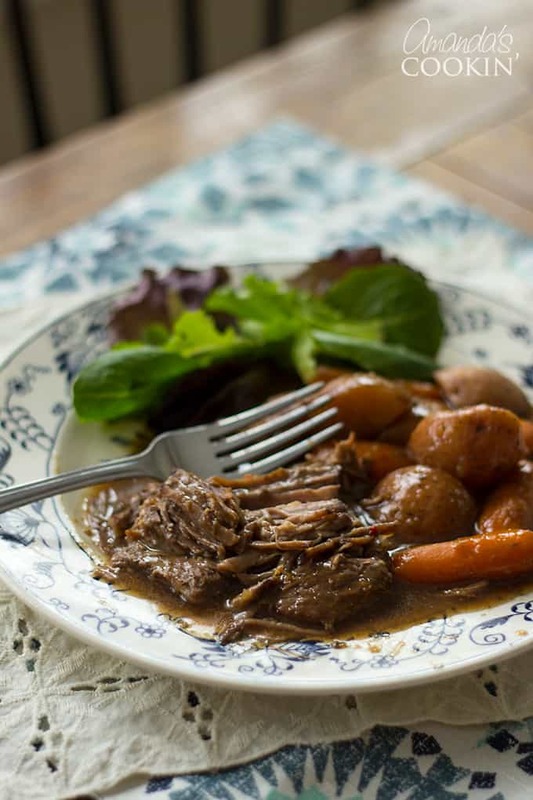 I hope you love this crockpot roast beef as much as we do. And if you love roast, you’ll really want to try my sirloin pork roast, always juicy and tender, and of course our Mississippi Pot Roast flavored with pepperoncinis and ranch. Yum! You can watch the quick video above to see how it’s done, then scroll down to print off the recipe. 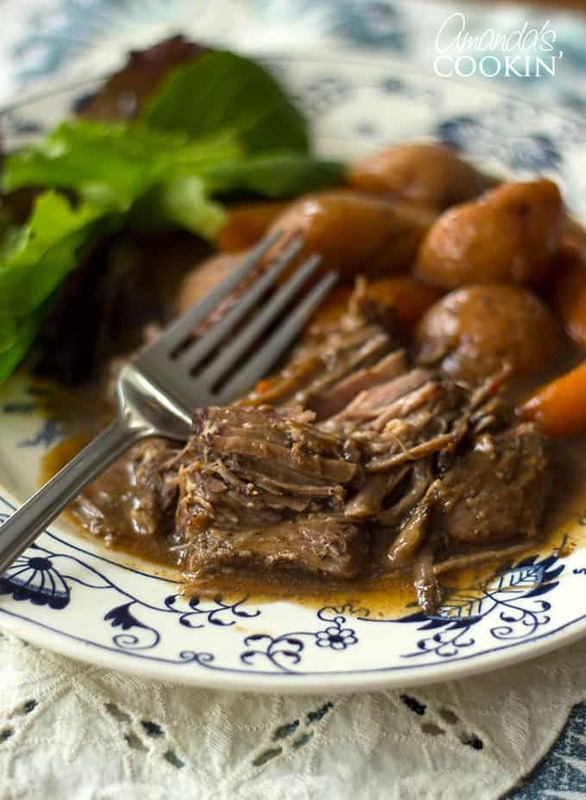 I have been making this slow cooker "To Die For Pot Roast" for many, many years. This roast only needs a few ingredients and cooks all day to perfection. Line bottom of slow cooker with sliced onions. Add vegetables if using them. Place roast on top of bed of onions. In a bowl, whisk together dry mixes, water and gravy. Pour entire mixture over roast and cook on low 8 hours. Remove 1.5 cups of the liquid from the slow cooker when roast is done and put into a small saucepan. Place 1 teaspoons of cornstarch into a small bowl. Add 1/4 cup of the reserved liquid from the saucepan and mix with cornstarch until smooth. Add this mixture back into the remaining juice in the saucepan and cook over low heat until thickened. Serve with boiled potatoes, gravy and crusty bread. What brand of beef gravy do you recommend? That’s could make a ton of difference. I have used both Heinz and Campbells successfully! 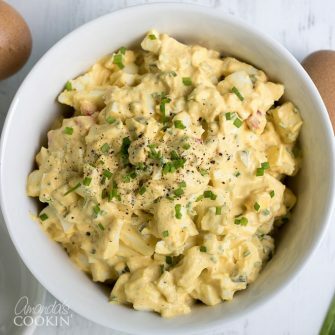 Have you ever used this recipe in an instant pot? I so prefer it for cooking meat. I have not! If you try it, would love to hear how it turned out! Can you put potatoes in at same time with carrots or will they fall apart? If so what type of potatoes do you recommend? I have put the vegetables in at the same time, they are fine. I’ve used red potatoes and Yukon gold, they both work well! That Roast beef meal has got to be EXTREMELY salty????? I enjoy reading the newsletter you send out especially the recipes…………….Great job and thank you so much for sharing. Thank you Susan, so glad to hear it!